In spite of an international court ruling ordering Colombia to attend a humanitarian crisis in the north of the country, four more children reportedly died of malnutrition last week alone. No authority is willing to take responsibility. 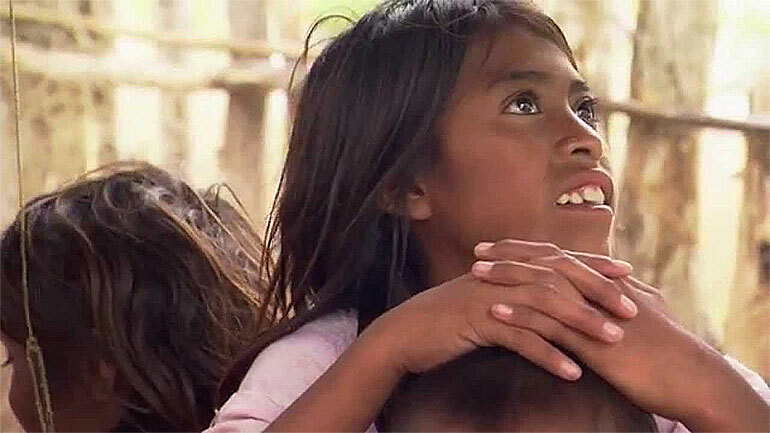 According to the National Health Institute, 897 children are currently suffering severe malnutrition in the northern La Guajira province, which is mainly inhabited by the Wayuu indigenous people. The number could be lower as more children could have died while national and local authorities blame each other for the humanitarian disaster that has been unfolding for years. Recent drought, ongoing corruption, the use of drinking water by the local coal mine and an economic slowdown have only aggravated the situation of children in La Guajira, one of Colombia’s richest departments in terms of natural resources. Government inaction and corruption spurred the Inter-American Commission on Human Rights (IACHR) to order Colombia to take action against extreme poverty in northern Colombia where more than 4,000 indigenous children have died of malnutrition in the past eight years. However, since the December order, at least four more children died in La Guajira because of their families’ lack of access to food and water. Disgracefully, the court order only further exposed the government’s inability to provide the most basic food products and water. “One cannot guarantee they don’t die of hunger for many reasons,” said Family Welfare director Cristina Plazas, who saw her wedding canceled on Friday after her fiance was arrested on corruption charges. The four children who died last week had already been placed under Family Welfare care before their death, according to President Juan Manuel Santos. But Plazas denied this. The Family Welfare director additionally insisted on staying on, in spite of increasing calls she hands in her resignation. “Why would I resign? I am doing my job and have demonstrated that La Guajira is priority,” Plazas told newspaper El Tiempo.